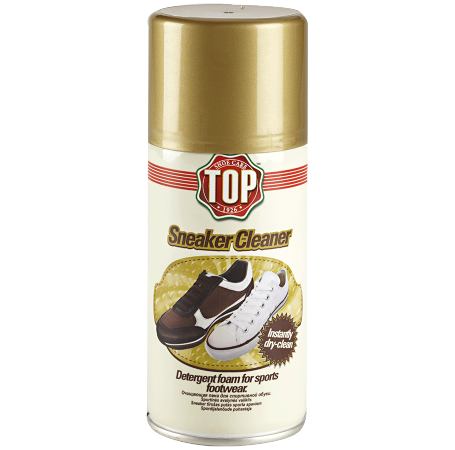 Notes: Cleans and renews footwear made of mixed materials which are usually difficult to clean. Shake well before use. Hold the bottle to 3/4 cm from the shoe, delivering the foam over the whole surface to let it work for a while then brush with a clean brush. In the presence of delicate skin (for which it is recommended a test in a barely visible position), it is shown the use of a softer or a clean cloth brush, to remove the product. Allow to dry before wearing your shoes. Leather surfaces of any colours, canvas, eco leather, nylon, vinyl, alcantara, technical and mixed fabrics. As it penetrates in depth, the super-concentrated foam releases detergent active principles, making it possible to eliminate dirt with ease. With an attractive Citron and Bergamot perfume.